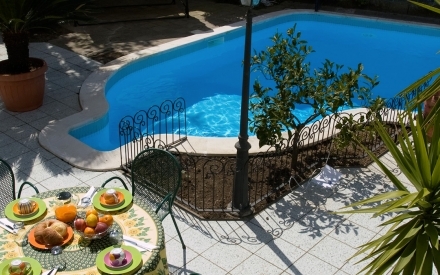 Book a stay in our exclusive villa with pool in the center of Sorrento. The ideal solution for anyone who wants to enjoy a relaxing and comfortable family holiday, couples or friends. The large rooms are spacious, plenty of light and they are elegantly decorated in smooth bright colors. They are stylish in every detail and equipped with all amenities, ensuring a pleasant stay. For your moments of relaxation Villa Adriana offers a swimming pool with deck chairs, sunbeds, gazebos with large areas of shade and a shower. Amazing vacation experience! Really enjoyed our stay at Villa Adriana!! Viva Italia! We will come back. Thank you for your hospitality!